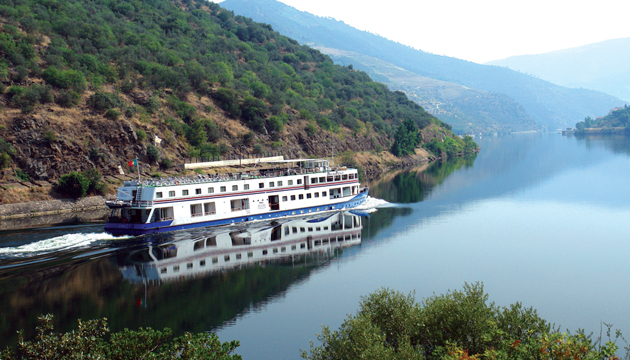 This charming hotel ship has 23 double cabins, 1 suite and has capacity for 48 passengers. All cabins have private bathrooms with shower and hairdryer, air conditioning and television. 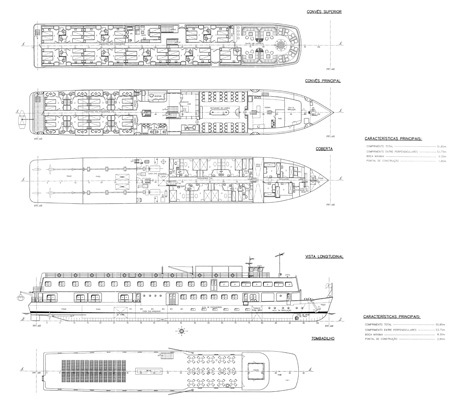 On the upper deck are located 15 double cabins and 1 suite with panoramic windows that do not open and not fixed beds which can be put together or separated, and the remaining 8 cabins are located on the main deck with private balcony. The Douro Prince has a lounge bar with a dance floor, shop and restaurant. The Douro Prince bar also allows access to the Internet via Wi-fi. The Hotel-Ship Douro Prince has 24 double cabins, divided between two decks: 16 cabins in the Upper Deck and 8 cabins in the Main Deck. All cabins have private bathrooms equiped with shower (except for the Suite which has a bathtub). They are also equiped with air conditioning and heating devices. All cabins are faced to the outside. Cabins in the Upper Deck have windows, while Main Deck cabins have sliding glass door that give access to the private balcony. All cabins are equiped with two single beds that can be placed together as a double bed or separated.